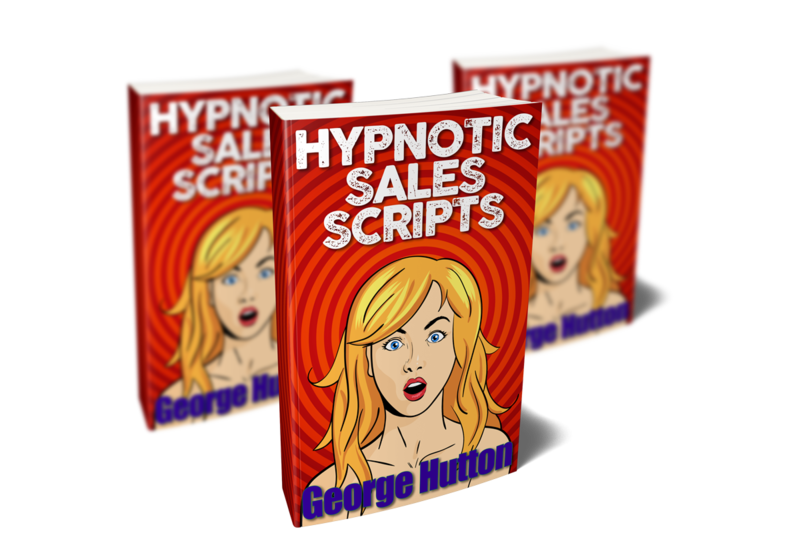 If you’ve got any kind of sales job (or if you WANT one) then this collection of hypnotic sales stories is going to double or even triple the amount of digits on your paycheck! Selling things is easy. Buying things is easy. It’s what we humans have been doing since the dawn of time. We humans LOVE buying things. This is EXACTLY why Amazon is one of the best SUPER STOCKS of all time! They found a way to bring buyers and sellers together. Luckily, some things CAN’T be bought on Amazon. Some things we need to look at, try out, think about, talk to a professional sales person about. Ask questions, share our concerns. I’m sure you’ve spent lots of time looking around at things you wanted. Why do we human do this? Are we crazy? Not really. We like to dream. To fantasize about a big bright future where we can get everything we want. And that’s exactly what window shopping is. We imagine what it would be like to own this thing. Even when browsing online. We look at things, read about things, and imagine what it will be like to have this. We are imagining a best case future where they can get this, and use this to maximize the future, however it relates to this product. What is needed to make a sale? It’s the exact same thought process as when you were trading your tuna sandwich for a bag of chips in first grade. Or whatever “trading cards” you might have been into. Or any other thing that kids, and adults LOVE to trade. What are they trading? Their money for your product or service. When you present the proposition to them CORRECTLY, so that they see that your product or service is MUCH MORE VALUABLE to them than the financial cost, the sale will be a SLAM DUNK. …yea, I know. You spend an hour giving them your best pitch, and then they say those horrible words. That simple sentence that sends shivers up the spines of millions of salespeople worldwide. What sales people hate to hear. The worst part. The objections. The part when the salesperson shifts from talking to arguing. Before, it was easy. A simple discussion between friends. They were nodding and smiling. But then somebody brought up price. Luckily, that won’t happen to you. No, this doesn’t involve linguistic trickery to flip around their objections. 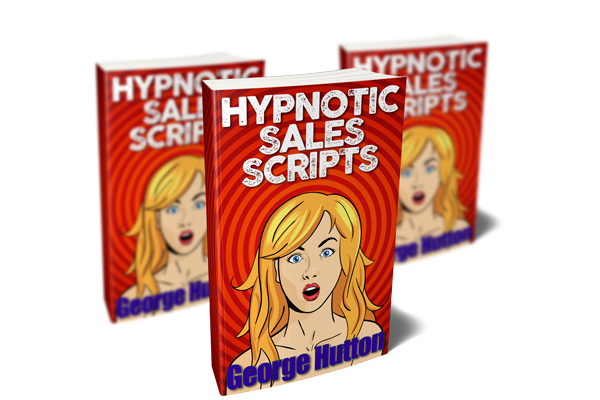 This set of hypnotic stories will do something no other sales technique even comes close to. Because it treats the price objection in a way no other sales technique does. Arguments between old married couples are never about the toothpaste, or the toilet seat. They are always about boundaries and respect. When the toilet set is left in the wrong position, they feel disrespected. When the toothpaste cap is left off, they feel disrespected. The price objection is a symptom of something deeper just like the toilet seat is a symptom of a feeling of disrespect. In this course, you’ll learn how to handle that deeper issue in the customer’s mind. And you’ll get it where it lives, deep in the customer’s unconscious mind. But you won’t just handle it. You will destroy it. You will the neutralize issue itself, making it vanish quicker than a block of ice in an active volcano. The structure of a basic sale is simple. Establish rapport, elicit criteria, leverage criteria, close. Then overcome objections and close again. Then overcome objections and close again. But when you use these three carefully constructed categories of hypnotic stories, you’ll never hear another objection again. Sure, you’ll use that same structure. You’ll still need to create rapport, and elicit criteria, but in between you’ll be telling these powerful hypnotic tales that are carefully constructed to do three things on a very deep, very powerful, and very subconscious level in the mind of your customer. These patterns will create so much rapport they’ll think you two have been best friends since kindergarten. They’re designed so you can chit chat about virtually any topic, and then slide right into these powerful stories. These set of stories are designed to take whatever reason it is they want what it is they want, and blast it up so big in their mind they’ll be salivating like a hungry hound in a meat shop. These patterns will turn the smallest flicker of desire into a raging fire of passion for your product or service. This next set of stories will destroy not just the objections, but the very reason for the objections themselves. And because you will destroy the deep reason (no, it is NOT a money issue) the price will not a problem. Closing Patterns? Who Needs Closing Patterns? These sales hypnosis stories require a bit of back and forth. For that reason, they can’t be used in text, and they can’t be used when cold calling. They are best used on warm customers. Customers that have an idea that they might like your product (even if they’re window shopping) and don’t mind spending a few minutes talking to you about them. No problem! See, everybody wants something. These stories, while written with salespeople and customers in mind, will work on ANYBODY. They are designed to skyrocket rapport, build desire, and overcome any objection to taking action. Heck, even if you are shopping for anything more than twenty bucks, the discount you’ll get by using these ON salespeople will more than cover the cost of this! Stroll into any dealership and have the salespeople eating out of your hand! Get upgrades to first class! Spend a few minutes whispering into the ear of the hostess at that crowded restaurant downtown at instantly get the best seat in the house! If you tell a couple rapport and desire stories at parties, people will feel like they’ve known you for years. They’ll fall in love with you and not know why. Once you tell a couple of these, they will NEVER be able to get you out of their minds. Any time you can talk to somebody, these stories will create a deep connection and jack up their desire. If you don’t have a product or service, you can simply attach their burning desire to their idea of you. Each story is about five hundred words. And yes, they will take some time to commit them to memory. But in addition to the words themselves, they include all the pausing, all the spatial anchors, and all the embedded commands you’ll need to replace every stray thought in their minds for a burning desire for YOU (or whatever it is you’re selling). These are regular stories about regular things. Nobody will have any idea what you are doing. You’ll start off by talking about something that happened to you the other day, and before long they’ll be staring at you and wondering just WHO you are, and HOW they can get more of you. Do I Have To Use Them Word For Word? Not at all. But it’s recommended that you get at least one of them down, just you can get a feel for how they are put together. Once you understand the mechanics, the flow and the pacing, you can start building your own. Everything is included to show you how to do just that. With Strangers – Instant Best Friend! These twenty one scripts will significantly increase any sales income. Never again will you be worried about the economy. Never again will you even worried about finding a job. Learn these powerful hypnotic stories and never worry about finances again! If you can get yourself in front of the hiring manager, whether in person or on video, the job is yours. They’ll never know what him them. One minute you’ll be talking about a test you took in school and the next thing they know you’ll be their DREAM candidate. Get this guide now and never worry about getting hired again. Be that charismatic guy or girl that nobody will be able to forget. Start getting invited to all the parties. The inner-circle parties and social events that everybody agrees will be much better if YOU are there. Get this guide and give your social life a permanent and continuous boost.